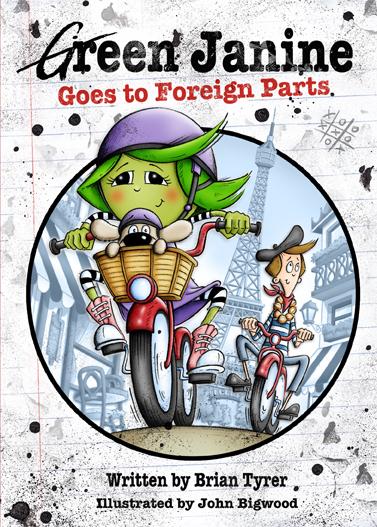 An independent girl who won’t take ‘no’ for an answer, Green Janine is determined to go cycling in France. As usual, the magic goes wonky when Mr. Mephista tries to help, and Green Janine finds herself in New York not Paris. That won’t do, she grumbles and a few explosions later she’s on a French road pedalling as fast as she can to get away from a pack of cyclists who seem to want to catch her. Amid cheers and the popping of champagne corks, Green Janine is first across the finishing line. She’s won the famous Tour de France cycle race and she’s on TV!